Belgium offers migration scheme for foreign investors and entrepreneurs from non-EU countries that wish to relocate to Belgium and do business there. They have to apply for a residence permit in an investor or business category. They can also include their spouse and children in the application. The government reviews applications and makes decisions on the case-by-case basis. It normally takes 3 to 8 months to obtain it. The procedure is generally straightforward and easy. Temporary residence permit is granted for 1 year at a time and subject to annual renewal. Belgium is one of the most developed and largest trading nations in Europe. It is very attractive for investors and businessmen with its highly developed infrastructure, open economy and pro-business government. They are offered a wide range of benefits in exchange for their contribution in the Belgian economy. Clean criminal record and no breaches of immigration law. Availability of funds for investment. In 3 years of a continuous and legal residence in Belgium after obtaining a temporary residence permit an individual may apply for Belgian permanent residence. Permanent residence in Belgium for 2 years prior to application. Proof of legal residence in Belgium. Registration in the population register. Knowledge of life in Belgium. Clean criminal record and good character. No tax or other debts. Belgium permits dual citizenship, so you don’t have to renounce your current nationality. After you receive a passport, you will be able to live, work and study in any EU country. There is no minimum investment required. However, it is advisable to initially invest at least €200,000 to run the company and cover operating expenses. It can be either an existing business or a new company. Another €100-200K will be necessary for further investment before naturalisation. The most popular types of company that can be set up in Belgium are BVBA, which operates just like a limited liability company, and SPRL. Costs related to incorporation include initial incorporation fee €10-20K, annual renewal fee €5K, rent costs of around €6K per year, admin and running costs of around €1K a year, salaries and other expenses. Form a Belgian company with an office and become its employer. This helps to show solid ties to the country for third-country nationals. Maintain an official address in Belgium through renting or buying a property and paying bills. 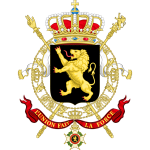 Belgium, officially the Kingdom of Belgium, is quite a young country; it declared independence from the Netherlands in 1830 and the federal state was created with the Revision of the Constitution in 1993. Various regions of Belgium have a rich history influenced both by German and Latin worlds. The different historic periods have each contributed to the cultural and language diversity, openness, character and strength of Belgium today. A three-tiered federal state consists of three communities, three regions and four language areas. Federal, regional, and community governments were created to minimise linguistic, cultural, social, and economic tensions. Government: Federal parliamentary constitutional monarchy. Official languages: Dutch, French, German. Membership: EU, Council of Europe, OECD, NATO, WTO, Benelux, OSCE, Francophonie. Landscape: three major areas, lower Belgium (up to 100 m above sea level), central Belgium (between 100 and 200 m above sea level) and upper Belgium (from 200 to over 500 m above sea level). Climate: maritime temperate, with cool winters and warm summers. Significant precipitation all year round. The biggest contributor to the GDP is the service sector. Belgium also prospers on importing raw materials, processing them and then exporting finished goods. Main imports are raw materials, machinery and equipment, chemicals, raw diamonds, pharmaceuticals, foodstuffs, transportation equipment and oil products. Main exports are machinery and equipment, chemicals, finished diamonds, metals and metal products, and foodstuffs. Manufacturing sector accounts for about 17% of the GDP, with metallurgy, steel, textiles, chemicals, glass, paper and food processing as the dominant industries. To attract foreign investment to Belgium, the government offers several immigration routes for wealthy individuals and entrepreneurs. They encourage affluent individuals to relocate to Belgium and/or do business there, offering them tax and other benefits in exchange for their contribution in the local economy.